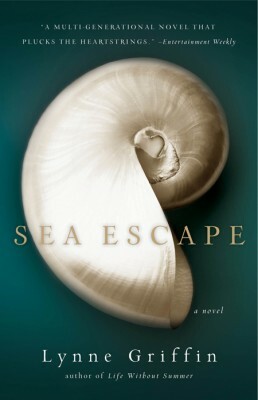 Acclaimed novelist and nationally recognized family expert Lynne Griffin returns with SEA ESCAPE–an emotional, beautifully imagined story inspired by the author’s personal family letters about the ties that bind mothers and daughters. Laura Martinez is wedged in the middle place, grappling with her busy life as a nurse, wife, and devoted mom to Henry and Claire, when her estranged mother, Helen, suffers a devastating stroke. In a desperate attempt to lure her mother into choosing life, Laura goes to Sea Escape, the pristine beach home that Helen took refuge in when her carefully crafted life unraveled years ago, after the death of her beloved husband, Joseph. There, Laura hunts for legendary love letters her father wrote to her mother when he served as a reporter for the Associated Press during wartime Vietnam. Believing the beauty and sway of her father’s words have the power to heal, Laura reads the letters bedside to her mother–a woman who once spoke the language of fabric; of Peony Sky in Jade and Paradise Garden Sage–but who can’t or won’t speak to her now. As Laura delves deeper into her tangled family history, each letter revealing patchwork details of her parents’ marriage, she finds a common thread. A secret, mother and daughter unknowingly share.